One of the most valuable skills we can teach our dancers is how to set goals and how to work towards achieving them. 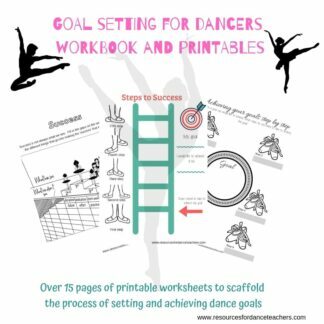 This is clearly valuable for dancer development but is also an incredibly useful tool that they can take with them and apply to all areas of their life. 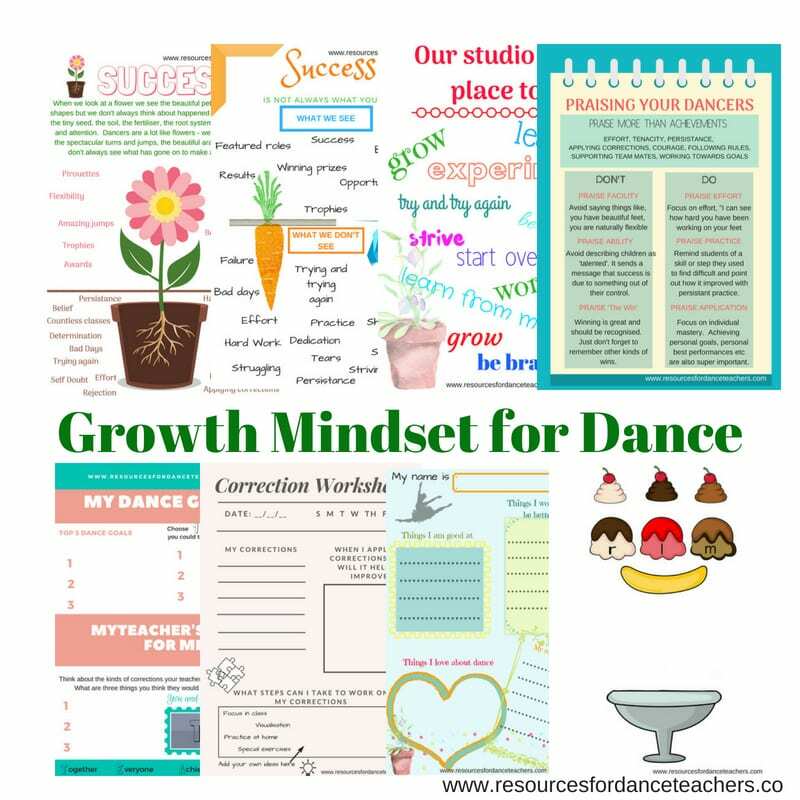 If you ask most of your dancers they’ll be able to tell you all the things they’d like to achieve – many times these will be based on things they’ve seen on social media or maybe on skills that their idols can do. It is wonderful that our dancers have so much inspiration to draw from these days. The key is to help them translate their ideas into achievable goals for themselves. 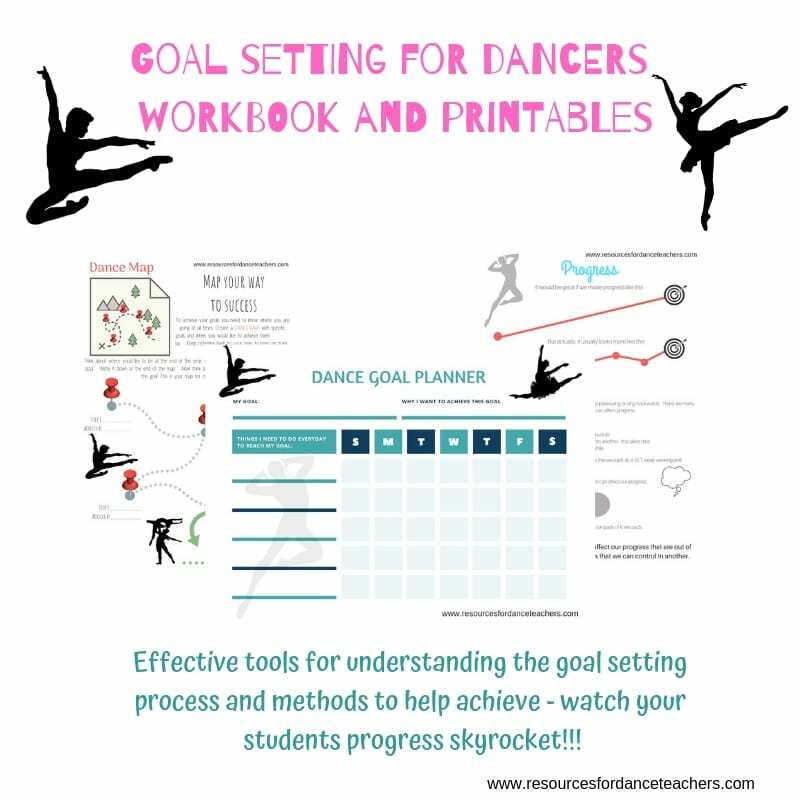 They might tell you that their goal is to achieve a certain acro trick or a certain number of turns or to get pointe shoes – what we as teachers can help them with is looking at what is behind these goals and how they can be achieved. The idea of working step by step towards something can be difficult for young dancers to grasp. 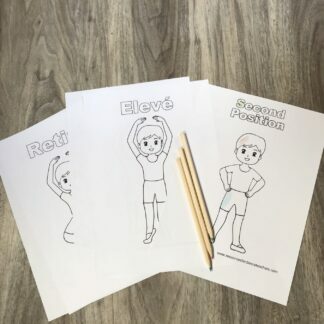 This workbook and printable set, helps scaffold that process by challenging students to really grasp the hard work that is necessary for success and by helping them uncover their personal roadblocks and dead ends that may be holding them back from achieving their personal best. The kit also provides a variety of methods for mapping goals and making a concrete plan to achieve them – this helps turn goals into SMART goals, specific, measurable, attainable, relevant and time bound. When a goal is broken down like this, chances of success are magnified. Once dancers are empowered to set goals and give the tools to help achieve them, their improvement is phenomenal. 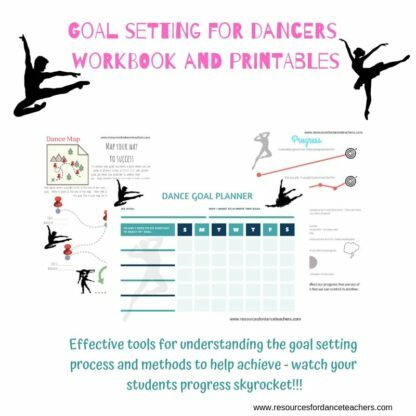 Goal setting is an amazing tool to fast track dancer success.